When it comes time for the big feast, be ready with dinnerware, servingware, glasses and more all in seasonal style. This Dwell approved assortment will help you set a simple yet elegant and inviting table for your nearest and dearest. 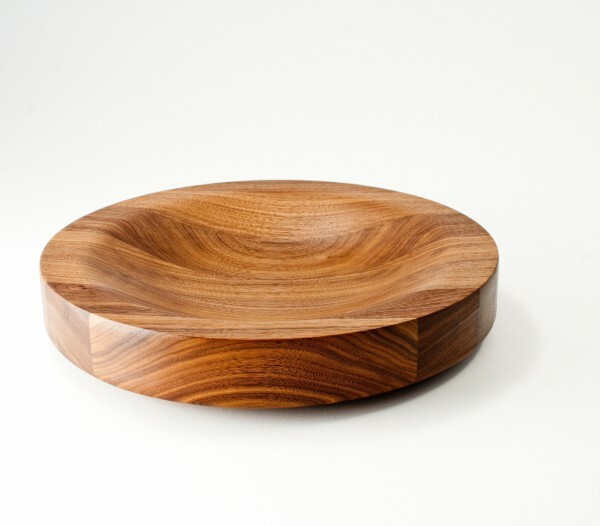 Handmade in Canada and finished with a natural oil/beeswax mixture, this serving bowl is a handsome addition to any tablescape. This handmade walnut block is not only rich and beautiful but practical for catching juices when carving the holiday bird or roast. We love this shallow serving bowl from iittala. The Tikki pattern is simple yet intricate and right on trend for the season. This perfectly icy pitcher is beautiful and elegant with a bit of whimsy. It would be great on any table regardless of time of year but adds an extra frosty sparkle to a wintery tablescape. The Hakuji Sendan collection by Mori Masahiro for Saikai are simple and warm ceramics for daily life. Perfect for a family gathering. By eliminating lead content from the glass composition and replacing it with titanium and zirconium, Schott Zwiesel has created a new crystal glass that is dishwasher-safe and break-resistant (truly!) with a diamond-worthy (well, zirconium anyway) brilliance and clarity. A classic design made with titanium and zirconium rather than lead making it dishwasher safe and break-resistant, the Tritan Burgundy wine glass from Schott Zwiesel is not only beautiful but practical for everyday use and large gatherings. Stainless steel may be the modern flatware standard, but warm-toned metals are making a comeback. This line is designed by a Portuguese company schooled in the fine art of cutlery craftsmanship.